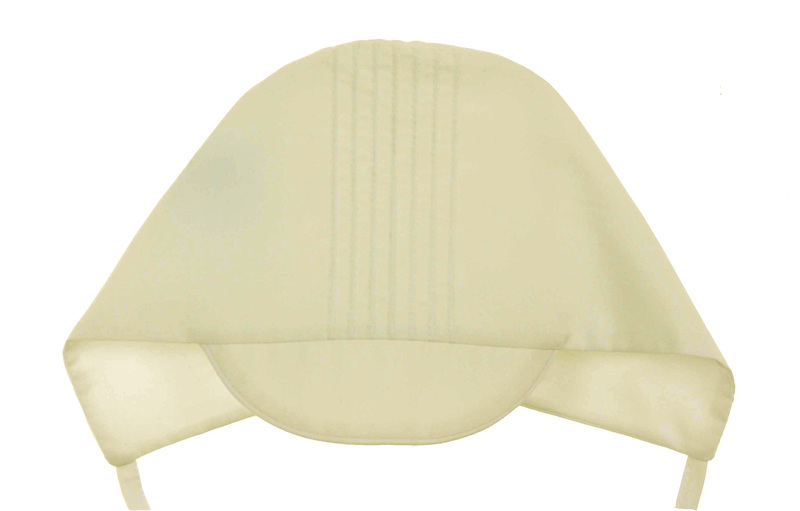 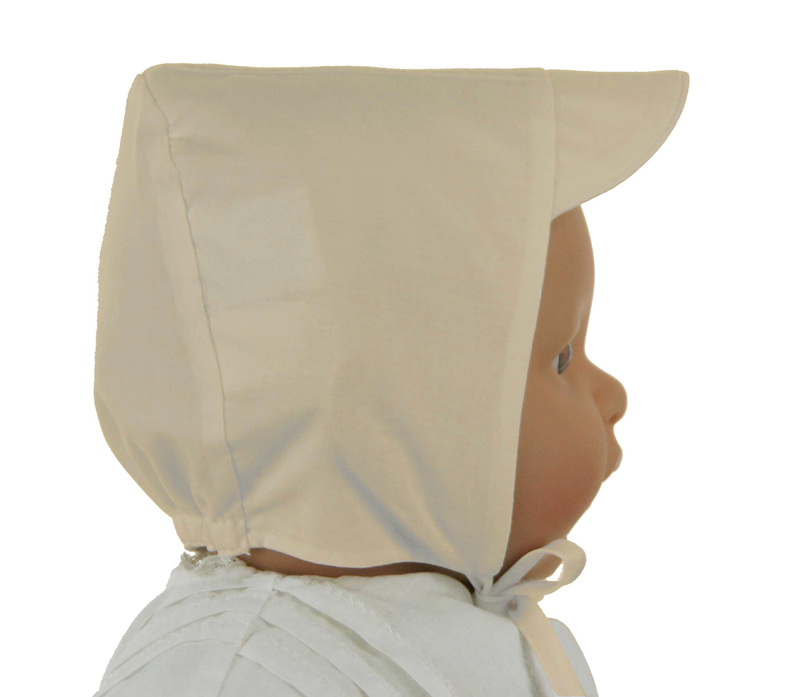 This darling new classic bonnet style ivory cotton blend batiste hat has rows of horizontal pintucks on the top with a closed crown. It is styled with a little bill and ties under the chin with fabric ties. The perfect little christening hat for your baby boy! 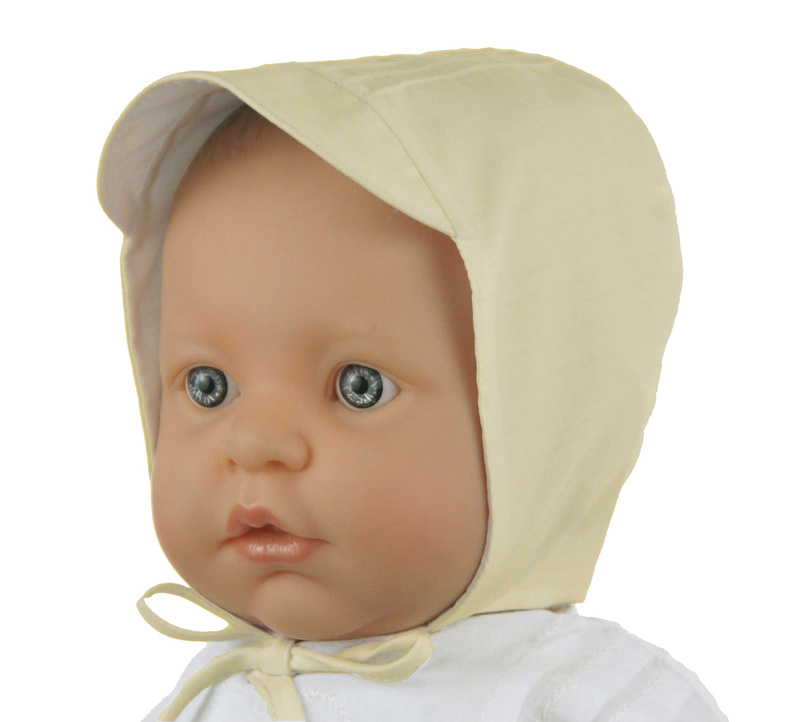 Perfect too for baby's coming home from the hospital, portraits, baby shower gifts or newborn baby gifts.